Bayern Munich began their defence of the Bundesliga title - and Niko Kovac's reign as manager - with a 3-1 victory at home to Hoffenheim. Kovac succeeded Jupp Heynckes following his retirement shortly after they won their sixth successive German league title, and after leading them to DFL-Supercup glory against his former club Eintracht Frankfurt, the Croatian has delivered their first Bundesliga win of the new term. After a disappointing summer for German football in which the 2014 World Cup winners were unexpectedly knocked out at the group stage, Thomas Muller needed only 23 minutes to give Bayern the lead. An equalising goal from Adam Szalai and two disallowed efforts threatened to undermine Kovac's hopes of continuing his winning start, but the manager introduced Arjen Robben after Kingsley Coman was lost to injury and, after Robert Lewandowski's penalty, the Dutchman secured all three points. 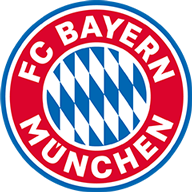 Robben and James Rodriguez had been named on the bench, with Kovac preferring Coman and Franck Ribery, but the manager otherwise selected the XI that was expected. In an encouraging start, Muller scored in the opening game of the Bundesliga season for the third time in five years after, amid pressure on his debut, Hoffenheim's Kasim Nuhu conceded a corner. Joshua Kimmich delivered a cross and the forward jumped to send a powerful, close-range header beyond goalkeeper Oliver Baumann and into the back of the net. Coman was consistently impressing but on the stroke of half-time was lost to injury. 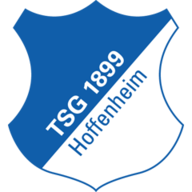 Having repeatedly stretched Hoffenheim's defence he was left in a pile by Nico Schulz's aggressive challenge, which appeared to injure the winger's left ankle, leading to Robben coming on. Coman's absence often told and, after Robben threatened in the second half, Szalai impressed in firing the visitors level in the 57th minute, when after beating Jerome Boateng he powerfully finished across goalkeeper Manuel Neuer. Bayern were awarded a penalty when Hoffenheim substitute Havard Nordtveit brought down Ribery but, when Baumann saved from Lewandowski and Robben scored from the rebound, the VAR intervened and ordered the penalty be retaken. On that occasion, in the 82nd minute, the Poland striker scored. It was in the 86th minute when home substitute Leon Goretzka found the back of the net when his shot appeared to take a significant deflection, but the VAR ruled Muller had handled and again disallowed. Muller then set up Robben, in the 90th minute, and from in front of goal he struck and found the top left corner to put victory beyond doubt.